Hi there my Quilty Friends. 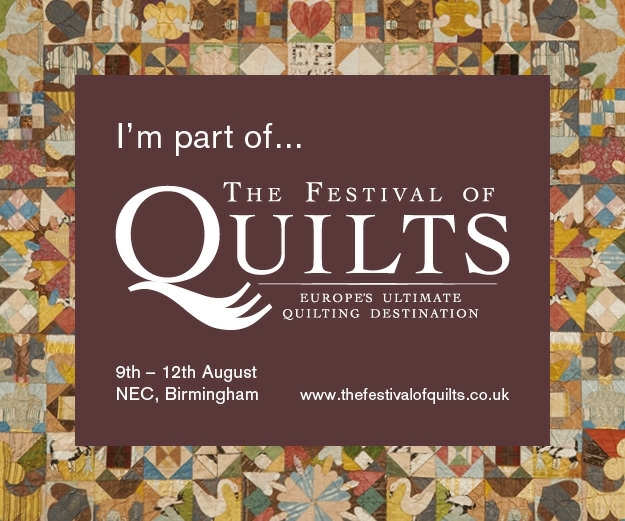 The Festival of Quilts 2018 is almost upon us. I go every year to this Four Day Extravaganza of Quiltiness. It’s the largest Festival of Quilts in Europe. A what a spectacular Feast for the eyes it is. People travel from all over the world to visit and take part. As you mill though the halls you will hear many different languages – but we all share the same love of Quilts. 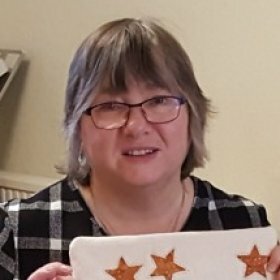 Last year I was asked by the organisers to write a Blog Post review of my Visit to the Festival of Quilts. And this year they have asked me to write another Blog review 2018 Style. I spend three days (two nights) at the Festival every year. I have been to it since the first year, and have watched it evolve and grow into the Extravaganza that it now is. 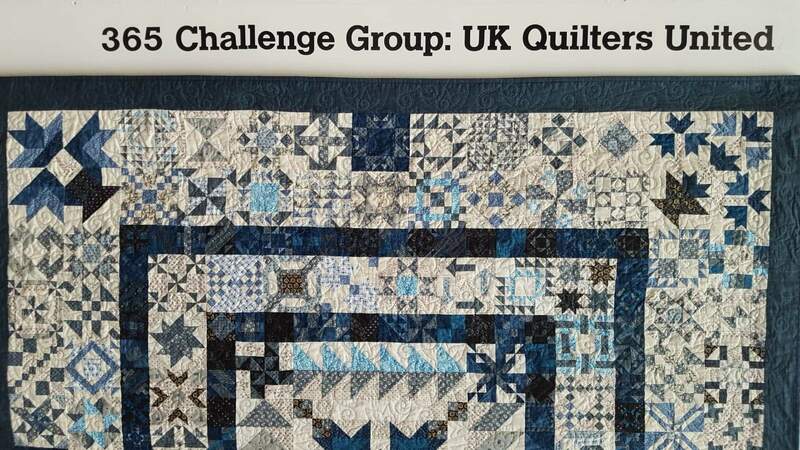 It is real credit to us Quilters in the U.K. and from across the world. The galleries from different countries are a particular favourite of mine. Getting to see in real life what our Quilting friends from across the world are up to. It’s quite fascinating and inspirational. I feel so proud to be a part of it. Even if it is as a visitor. The excitement is building each day now. I have such a wonderful time there. Enjoying the quilts, the traders and meeting up with and bumping into friends old and new. It’s a real treat for me. Do any of you remember the wonderful gallery of 365 Challenge Group Quilts at the Festival last year? Hosted by our very own U.K.Q.U. Weren’t they displayed beautifully. So, roll on August 9th. I usually come home exhausted but inspired by all I have seen.